The prophet who sent shock waves throughout Israel and shivers down the spines of kings, queens and nations is coming back. 5 Behold, I will send you Elijah the prophet before the coming of the great and dreadful day of the Lord. 6 And he will turn the hearts of the fathers to the children, and the hearts of the children to their fathers, lest I come and strike the earth with a curse." It was this very Scripture that the Lord Jesus was referring to when he said: "Indeed, Elijah is coming first and will restore all things” (Matt 17:11). Just as the spirit and power of Elijah came upon the prophets Elisha and John the Baptist, so will it come upon the last days’ prophetic generation. The moral and spiritual conditions that exists in the world in these present times are no different from the moral and spiritual decline that existed during the time when Elijah made his appearance, as recorded in the Old Testament. 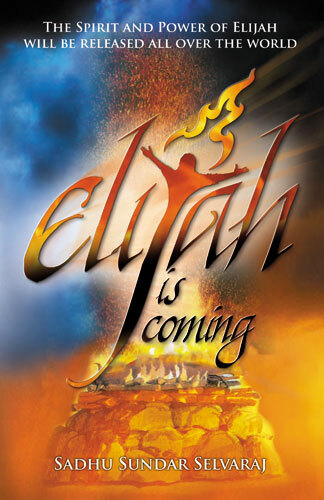 As the Lord sent the prophet Elijah to restore the worship of the only true living God in Israel in times past, He is sending Elijah back one more time to restore and to put all things in order before the coming of the Lord Jesus in the end-times. If you believe you are part of the last days' prophetic remnant, read this book to more fully understand your destiny. Learn how to prepare yourself to preach the Gospel of the Kingdom in the spirit and power of Elijah.